Cloud Gate's "Water Stains on the Wall". Photo by LIU Chen Hsiang. The Dance Center of Columbia College Chicago announced its 2011-2012 season today and it looks like it will be a postmodern extravaganza! A little Bill T, some Merce and Cloudgate, more M’s (Margaret Jenkins, Mad Shak, Mott), a shared program, a hint of Shakespeare, classes, lectures, q&a’s and a dash of spice with Ballet Hispanico. The season starts of with Bill T. Jones/Arnie Zane Dance Company at the end of September with a program of three works (restaged or reconsidered) from 1977 to 2002. In the company’s Chicago premiere, Pick Up Performance Co brings Dancing Henry Five, an hour-long narrative dance based on Shakespreare’s Henry V to the Center in mid-October. 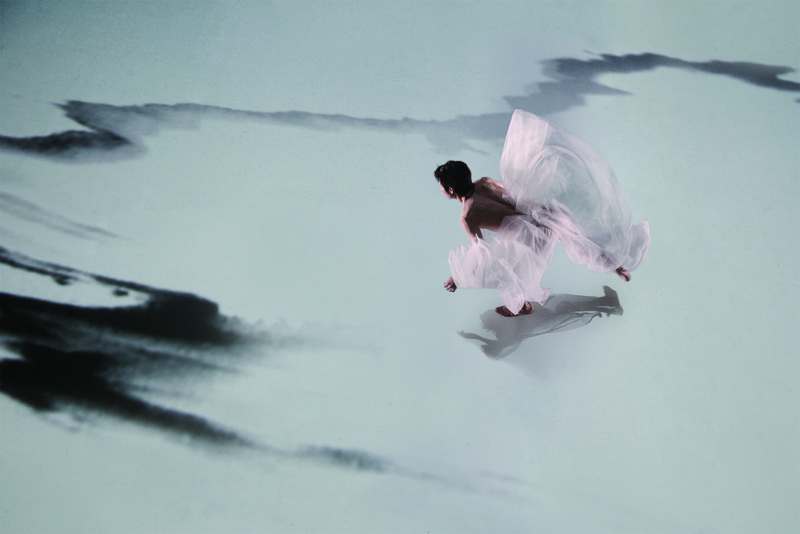 Closing out a jam-packed month, Cloud Gate Dance Theatre of Taiwan shows Founder and Artistic Director Lin Hwai-min’s latest work, Water Stains on the Wall. In November, as part of the Legacy Tour, Merce Cunningham Dance Company will present two programs co-presented by the Harris Theater. Works spanning decades of his career (1958 – 1983) will be performed on the Harris Theater stage at Millennium Park. February and March are busy with four different performances spanning the two months. First is the Midwest premiere of Margaret Jenkins Dance Company‘s Light Moves, a collaboration of dance, music, poetry and multi-media art. Molly Shanahan/Mad Shak continue Shanahan’s multiyear project Stamina of Curiosity at the end of February. March brings a shared program of three up-and-coming artists. The Space/Movement Project, Rachel Damon/Synapse Arts and Erica Mott each bring premieres to the Center. Closing out the season, Ballet Hispanico, led by former Luna Negra Artistic Director Eduardo Vilaro, presents a work by Andrea Miller, a new work by Vilaro and a commissioned work by Ronald K. Brown. The Dance Center continues its popular Family Dance Matinee Series with one-hour family friendly performances and workshops, as well as the wonderful community outreach programming that includes master classes, lec/dems, workshops and discussions with the artists. Also in Dance Center news, Onye Ozuzu will be taking over for Bonnie Brooks (who is taking a year-long sabbatical to focus more intensely on her writing, as well as working on the Merce Cunningham Legacy Plan) as the new chair of the dance department starting June 29th. A Florida State University graduate (BA in English Lit, minor in Economics and an MFA in Dance Performance & Choreography), Ozuzu currently serves as Associate Chair, Director of Dance at the University of Colorado, Boulder. She has been choreographing and performing since 1997, making an impressive name for herself as an AfroModern Contemporary teacher and choreographer.